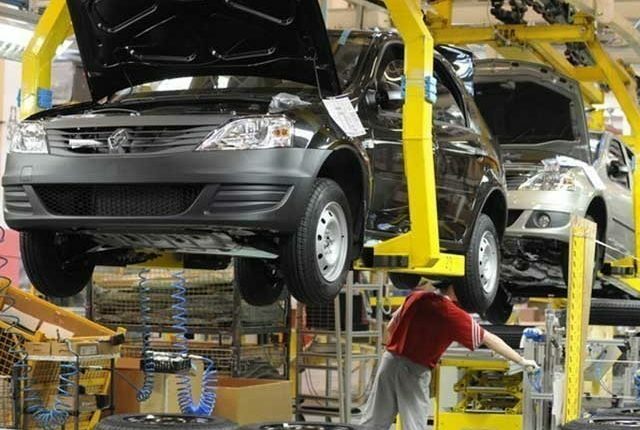 Frederic Lussny, the head of Manufacturing and Services at the European Bank for Reconstruction and Development (EBRD), said that Egypt’s keenness to introduce a new strategy for the car sector will attract manufacturers of foreign cars to invest in Egypt. He told Daily News Egypt that foreign car manufacturers will be competitors of the industry adopted by the bank, and EBRD will support these industries if they were in the Egyptian market. Asked if he believes Egypt needs to focus more on attracting the market of electric cars in the future, Lussny said that he does not know much about the car market in Egypt, but he knows that Egypt mainly relies on its car imports from Asia and Europe. The EBRD is officially working with several European groups for car manufacturing, such as the group of Commonwealth of Independent States (CIS), and San Group which invests in several projects in Morocco and Tunisia, pointing out that the car sector has become the main engine of activities in Tunisia and Morocco. According to a statement issued in August, the EBRD provided a loan worth €16m to Al Farouk Lighting System in Morocco—a company working in manufacturing car lighting lamps. Regarding the way the Tunisian or Moroccan governments support the industry, Lussny said that they have actions from both to support the industry. “In Morocco, for example, the government has established an infrastructure in the north of the company and prepared the proper climate to attract factories from abroad, as well as prepare local Moroccan companies to invest on a local level,” he added. He noted that he is not fully aware of the standards that must exist within the countries of the MENA region to attract the car sector to them, but he knows the standards in Morocco, Tunisia, and Turkey. He explained that Turkey is much luckier than Tunisia and Morocco, because it has two important elements. The first is its proximity to Europe, and the second is the fact that it is establishing a free workers market on a local level, to ensure work is conducted in a more professional manner. Regarding Tunisia, it has a rather smaller market compared to Turkey and Morocco. As for electric cars, Lussny said that General Motors has shut down many of its factories across the world given the trade war between the US and China, as well as the quick spread of electric cars. Several companies specialised in the car industry have become ready to keep up with the electric cars market. Lussny believes that the electric cars market is currently being considered in many developed countries, such as the US, Korea, and Western Europe.